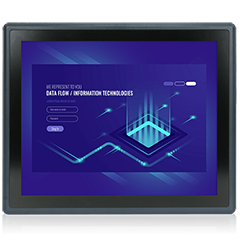 The FLEX series offers four 2.5”HDD bays with high speed SATA 6Gb/s interface that can expand storage capabilities and enable fast data transfers. 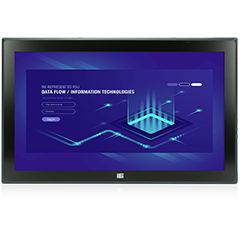 The equipped Intel Q370 chipset provides reliable and high performance hardware RAID protection to back-up your media and critical information. 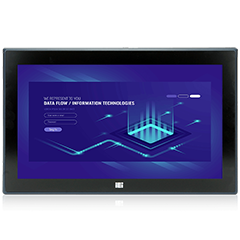 You can configure the RAID 0/1/5/10 from the BIOS menu to increase performance and/or provide automatic protection against data loss from drive failure. What type of RAID do I need? 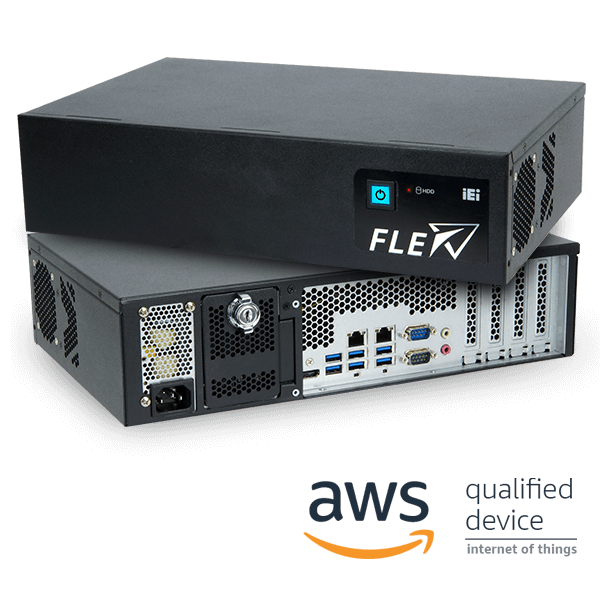 The FLEX series supports multiple PCIe slots including two PCIe 3.0 x8 and two PCIe 3.0 x4 slots, which are compatible with standard low profile add-on cards, to meet different edge inference computing applications. ● I/O card: Serial port card, USB card, LAN card, etc. ● AI accelerating card: VPU card, FPGA, GPU card, etc. ● Wireless card: Wi-Fi card, mobile wireless card, etc. 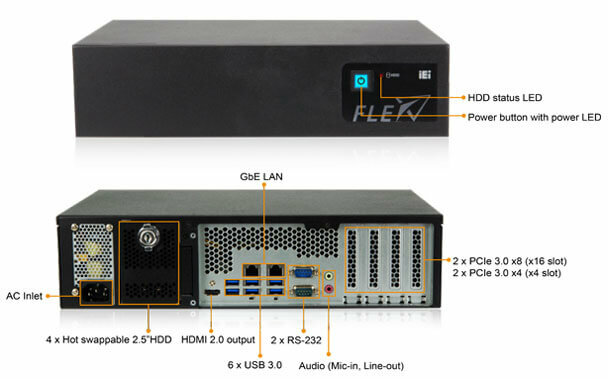 The FLEX-BX200 integrated with Intel® Coffee Lake Desktop processor supports HDMI 1.4 output port delivering 4K 24 Hz with amazing details. And a single HDMI cable carries both video and audio signals, which makes hookup particularly easy. 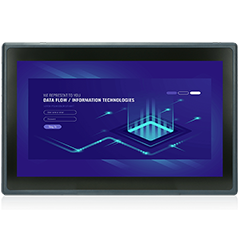 The FLEX-BX200-Q370 is designed in 2U height for easy and quick installation in control cabinets. 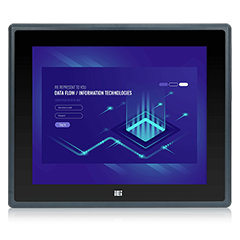 The FLEX-200-Q370 wall-mountable industrial box PC provides two-way direction for wall mounting, allowing users to orient the I/O panel upwards or downwards. The FLEX series featuring a modular design can be fitted with different sizes of panel kits to expand its capabilities. 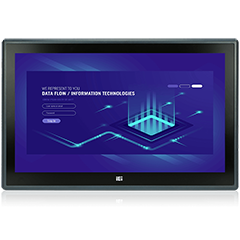 ● Various monitor choices: 15"/15.6"/17"/18.5"/22"/24"